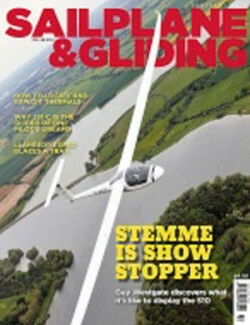 Learn how to locate and exploit thermals more effectively and read about a club exped venturing where no pure gliders had flown before in the Aug/Sept issue of S&G. It also includes the story of one pilot’s search for the perfect flapped glider and what it is like to display the Stemme S10. By understanding the physics within a thermal, it is possible to locate and exploit thermals more effectively. Tony Cronshaw talks to club coach Kevin Atkinson, who takes a break from his now legendary ground school sessions to provide some top tips for improving your thermalling performance. Returning from a winter motorglider trip to explore the potential for powerless flight, Mike Fox was keen to put together a team of clubmates to share a pioneering experience. Photos of snow-capped peaks and lenticulars was all it took and a date was set for a Staffordshire GC exped to fly from Llanbedr on the West Welsh coast. After an adventurous and memorable weekend, the club is now on the look out for similarly interesting places to fly from. Guy Westgate also had a smile on his face as he took to the skies above Sywell to display the Stemme S10 during AeroExpo. Guy considers the S10 to be the Bugatti Veyron of gliders and during flight says he had to pinch himself, wondering could it really be this good? Sywell AeroExpo is a challenging venue for a display and the S10, fully compliant with CS22, is not certified for aerobatics. But that didn’t stop Guy from impressing the crowds with its 23m span. Also in this issue: G Dale explains why he is a big fan of ClearNav II and the CNv variometer. Flying gliders at high altitude is not for the faint-hearted, says Mark Dalton. 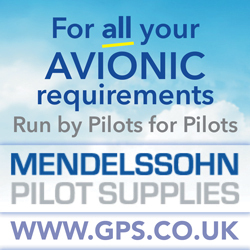 Carl Peters finds PilotLog to be the perfect future proof flying record for his needs. Bernard Eckey investigates the effect of humidity on thermals. 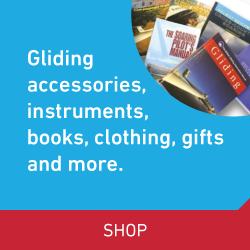 John McWilliam explains why hemigrates to Australia with his glider each winter. Phil King reviews Jean-Marie Clément’s new book, Dancing with the wind. Andrew Cluskey reports on the ‘one task fits all’competition held at Saltby. Matt Cook reports on a Juniors two-seater training weekend, sponsored by the Philip Wills Memorial Fund. Siena Whiteside reveals how a Women Glide UK lonely hearts advert is turning her flying dreams into reality. Franks Jeynes describes how Bidford aims higher after a practical course. Chris Robinson tries out theMILVUS trousers designed for glider pilots. BGA Development Officer Alison Randle explains why it’s time for clubs to find out how they are doing. Bruce Stephenson reports on the fun and flying had by many at two vintage rallies. David Innes reflects on a flight when nothing quite goes to plan and recent practice pays off. Sarah Kelman, of the BGA’s airspace committee, explains what we need to do to keep Class G open to all. Plus there are many more of your stunning images in the Gallery pages. A future proof flying record?